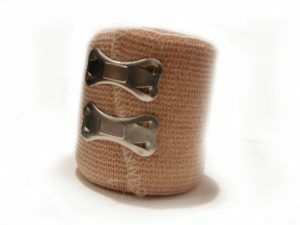 For several decades, healthcare providers and patient educators have recommended putting ice on an injury as soon as possible. The acronym RICE is commonly used, as it stands for “Rest, Ice, Compression and Elevation.” A medical doctor created RICE as a term in 1978, and everyone else just ran with it. It is now taken as gospel. However, a recent news feature from Soccer America takes a new look at RICE and whether it is actually a good practice or a faulty concept. The reason for skepticism is because the body will cause the site of trauma to swell as part of the body’s natural healing process. This is similar to how a person who gets a fever is experiencing a higher body temperature because that is the body’s natural way of killing germs that cause illness. If you take a fever suppressant, it might make you feel better, but it might actually take the body longer to fight the virus. However, it should be noted that if a fever is very high, medical intervention might be necessary. The ice may suppress the swelling, which is why people use ice, but that may actually make it take longer for the injury itself to heal. The new theory involves looking at the various stages following an injury. For the first hour to around three days, the injury is in what doctors call the acute phase. In this phase, the main goal should now be to reduce pain and swelling according to the RICE method. The next phase is known as the subacute phase. In this phase, there should not be as much inflammation and healing the tissue should be the goal. While this may still be correct, some suggest that there must be more research done how reducing swelling actually affects the long term and short term healing process. If you are in injured as a result of accident that is not your fault in Boston and suffer a personal injury, it is important to seek immediate medical attention. Regardless of what type of treatment doctors end up using, the important part is that you will be evaluated by a professional and given any treatment that you need. You will have the benefits of doctors creating a record of your treatment that can be very helpful in proving a personal injury case at trial or reaching a fair and appropriate settlement. In some cases, accident victims will be offered treatment by EMTs, or offered a ride to the hospital. In some of these cases, the victim will decline, because they feel they do not need immediate medical help. This is generally not the best response, because you may not realize until much later the total extent of your injury. You may end up feeling pain a day later. You could go the doctor then, but insurance companies may claim that, if it was serious, you should have gone to the hospital from the scene of the accident. This does not mean you do not have a case if you waited to go, but in the future, it is safer and better to seek immediate medical treatment.